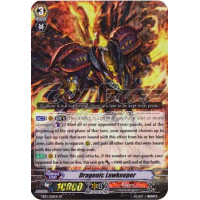 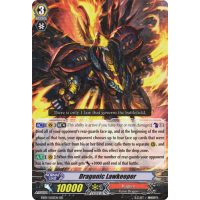 [ACT](VC)[Limit-Break 4](This ability is active if you have four or more damage):[Counter-Blast 1] Bind all of your opponent's rear-guards face up, and at the beginning of the end phase of that turn, your opponent chooses up to four face up cards that were bound with this effect from his or her bind zone, calls them to separate (RC), and puts all other cards that were bound with this effect into the drop zone. 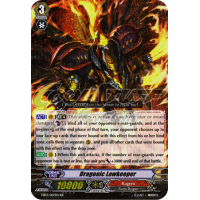 [AUTO](VC):When this unit attacks, if the number of rear-guards your opponent has is two or less, this unit gets [Power] +3000 until end of that battle. There is only 1 law that governs the battlefield.